DESCRIPTION Over 3,300 developed sq. Ft. in Evergreen Estates! Everything your family would want in this home. Main floor is bright and open with 9' Ceilings, a Custom Maple Built-in desk and shelving in Den, hardwood floors. Full height kitchen cabinets, oversized island, granite countertops, and upgraded steel appliances with gas stove in the kitchen, a spacious dining area and great room with gas f/p. Upstairs features an oversized bonus room, 2 cute rooms for the kids and a huge Master bedroom with full 5-piece ensuite and large walk-in closet. The basement has been professionally developed with another bedroom, bathroom with in-floor heating and 10ml glass shower, family room with custom built-in storage, plus media room. Enjoy oversized Garage with loft storage, sunny South backyard, Vacuflo, 2 furnaces, A/C, window coverings and fully landscaped. This is a fantastic plan and shows extremely well. 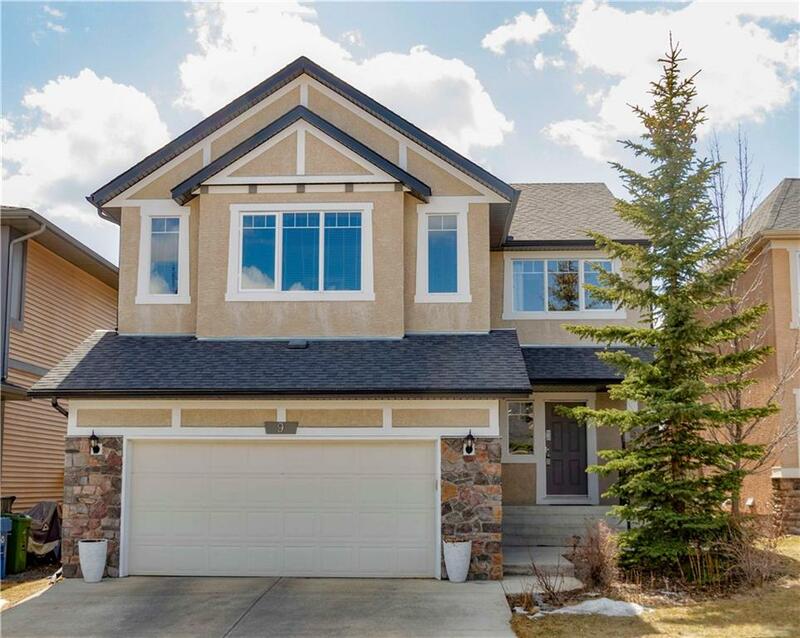 Walk to Fish Creek Park, schools, close to the LRT and the future ring road.